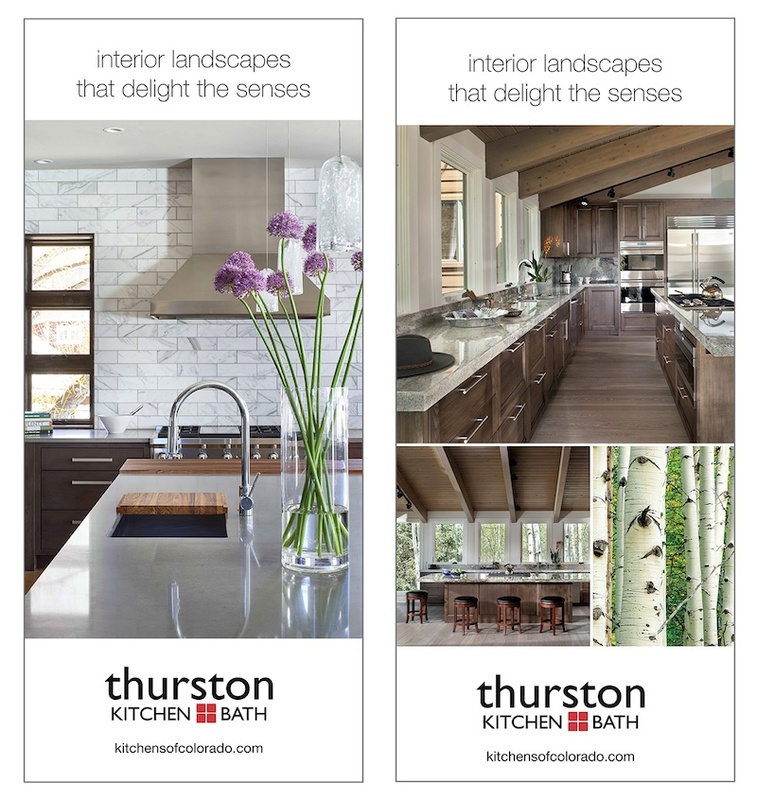 No other luxury kitchen and bath company reflects or shapes the Colorado lifestyle more than Thurston Kitchen + Bath. We periodically have the opportunity to build on their impeccable brand and find a new way to express their unique value proposition. We recently launched a new series of ads and in-store display banners based on the campaign theme of “Interior Landscapes” as a way to connect the company’s beautiful interior spaces with Colorado’s natural landscapes.